Brook Solliday is a Private Banker serving Morgan Stanley Wealth Management offices in New York City. 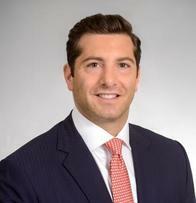 Brook began his career in financial services at Morgan Stanley/Smith Barney joint venture in 2007. He was on the Banking and Lending Sales Desk for three years and in 2010 joined Morgan Stanley as an Associate Private Banker in New York City. Brook was promoted to Private Banker in 2013. Brook earned his Bachelor of Science in Management from Montclair State University. He and his family reside in Hoboken, New Jersey. In his free time, Brook enjoys cheering on the Philadelphia professional sports teams, playing with his Golden Doodle, and participating in fantasy sports leagues. Megan Auslaender is a Private Banker serving Morgan Stanley's Wealth Management offices in New York City. Megan began her career in financial services in 2007, and joined Morgan Stanley in 2010 as a Wealth Management Associate. Prior to being promoted to her current position, she served as an Associate Private Banker in New York and Massachusetts. Before she joined the firm, she was a Registered Sales Assistant for Johnston, Lemon & Company Inc. in Washington DC. Megan received her Bachelor of Science in Economics from Pennsylvania State University. She and her husband live in Queens, New York and enjoy spending time with their dog Miles, running, biking, attending the theater, and trying restaurants in New York City.